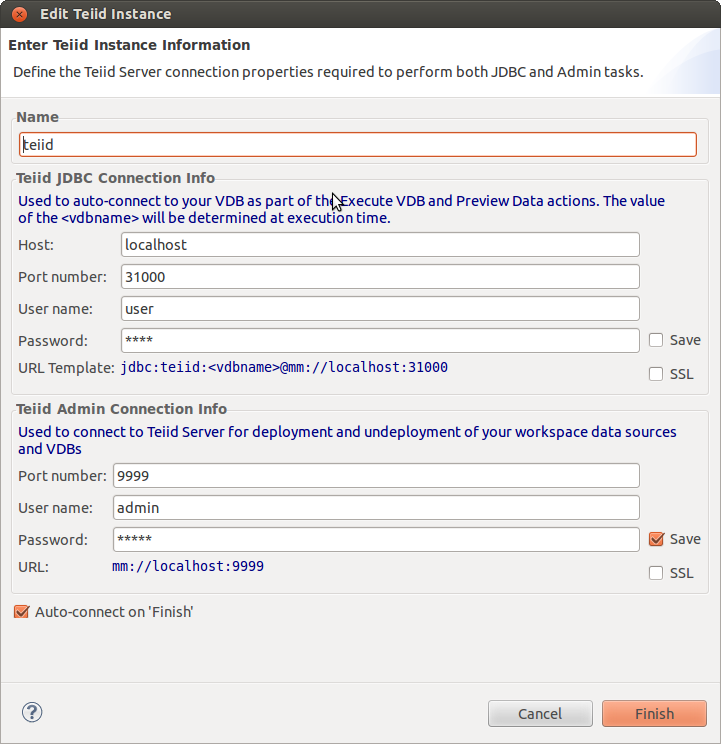 I was able to connect to jboss admin api with Teiid Admin shell. Teiid Designer 7.8 has been tested and is compatible with Teiid 7.x runtime. There is no current Teiid Designer version thats is compatible with with Teiid 8.x version, but we currently working on it. Teiid Desginer 8.0 is planned for release as Beta first part of September. So the current stable and recommended setup is : designer 7.8 + runtime 7.7 + jboss 5.1.0, right? I also need jboss to deploy it on, right? According to http://www.jboss.org/teiid/downloads it should be JBoss 5.1.0. 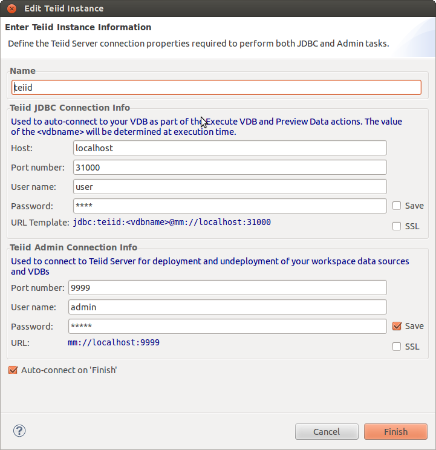 IDE-wise - do I need JBoss distribution of Eclipse (JBDS 5.0.1 or JBoss Tools 3.3.0) or is Indigo (3.7.2.) + Designer 7.8 sufficient? Indigo + Designer 7.8 is sufficient to work with Designer/Teiid. Note JBDS 5.x & JBoss Tools 3.3 are targeted for Indigo also. Thank you. I ran into some other issue with Designer 7.8, but I'll start a new thread for it.